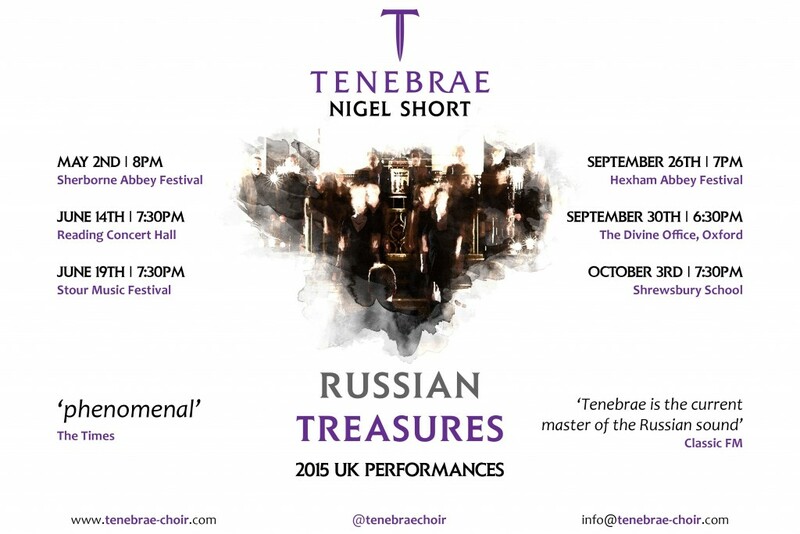 Tenebrae will be performing a programme based on this recording across the UK in 2015. The repertoire includes well known works such as from Rachmanninov’s Vespers, but also far less well known gems by names such as Golovanov, Kedrov and Kalinnikov. You can hear Tenebrae perform this programme in Sherborne, Reading, Stour, Hexham, Oxford or Shrewsbury. For more details please contact info@tenebrae-choir.com.